Christmas Came Early at the Frog! One Fat Frog buddy, Ed Flores stopped by today along with his daughter Emily to spread a little Christmas cheer and make sure that we were all working. We weren’t, but we appreciated the visit. 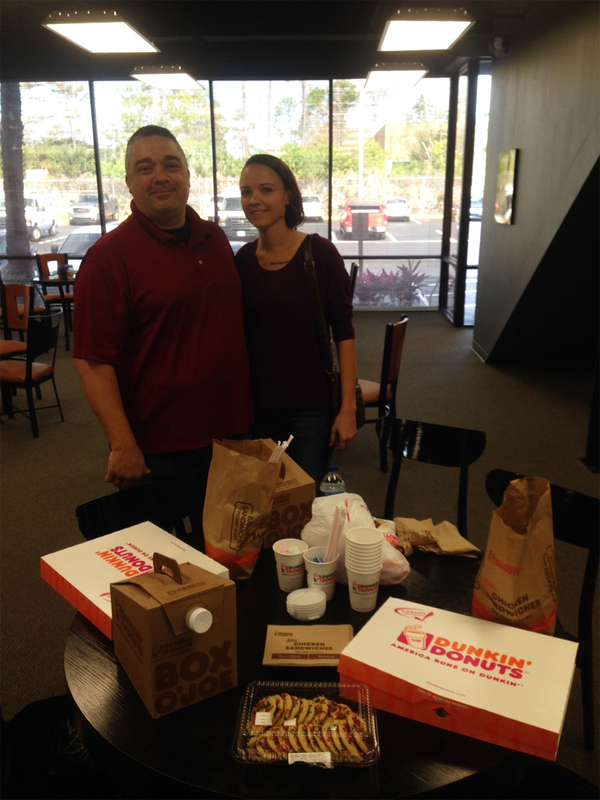 Then he whipped out Dunkin Donuts coffee, two boxes of donuts and told us to, “Go Nuts!” And so we did! It was a very kind gesture from a very great friend of the Frog and I think everyone will agree that our energy and productivity increased at least 20%, bringing us to a grand total of 30% for the day! Merry Christmas everyone! 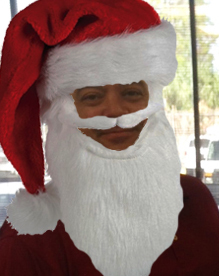 Especially you Santa… I mean Ed! ← It’s Christmas Eve at One Fat Frog!